Not your average rom com. Since its release on Netflix on May 11th, "The Kissing Booth" has been going viral amongst viewers for all the right reasons. I originally had seen a trailer for this movie on Instagram and instantly screenshotted the name to look it up that day to watch. The movie is a classic twist on the typical teenage romantic comedy that frankly, we all need in 2018. The movie first starts with introducing us to the two main characters, Elle Evans (Joey King) and Lee Flynn (Joel Courtney) who were born on the same day and grew up together as best friends. The two were completely inseparable until Elle starts to develop feelings for Lee’s older brother, Noah Flynn (Jacob Elordi). Noah Flynn is the perfect "it" boy and has the whole brooding 18-year-old motorcycle riding role down pat. 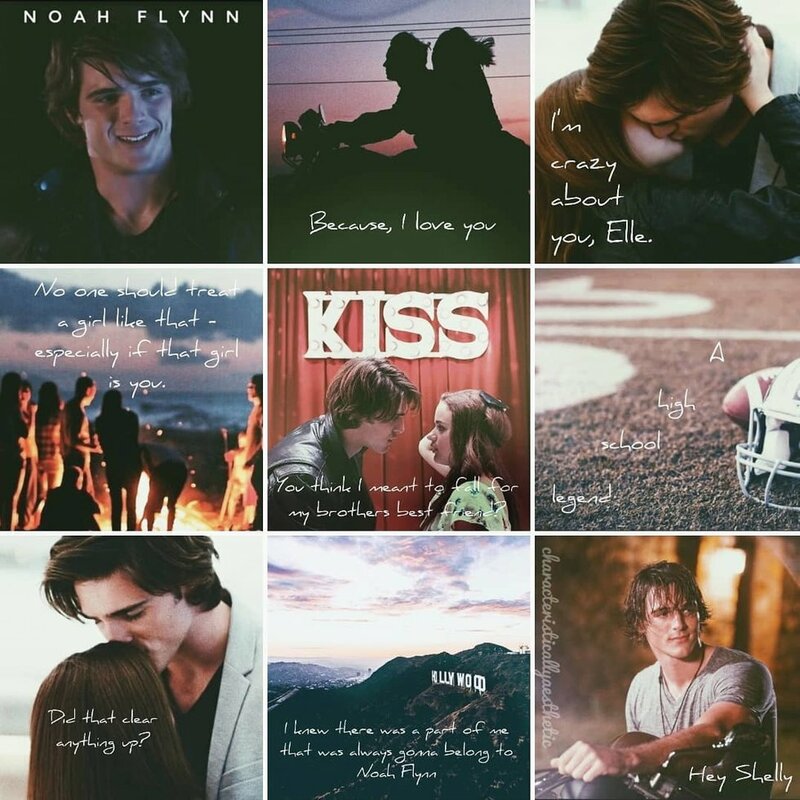 For dorky, never-been-kissed Elle, falling for Noah is quite dangerous. But what is most dangerous to her is the possibility of losing her friendship with Lee. Honestly though, what I really loved about this movie was how well the characters were portrayed. Elle was extremely believable and her awkwardness seemed natural. Lee was the dorky and sweet best friend that every movie like this needs, and of course Noah just stole the show and was a total heartthrob. As for the actual kissing booth, what the movie is named after was proposed by Elle and Lee as a fun way to raise money for the school. The booth ended up bringing people together in an unexpected way that in the end brought both Elle and Lee an immense amount of happiness. The booth also got the characters noticed by their peers and made them feel like they were a part of something bigger than themselves. While the booth could have torn the two apart forever, Elle and Lee managed to see past their conflicts and continue to solidify their friendship. What I also appreciated about the movie was that the parents were actually somewhat involved in the movie. Typically, anyone over 30 is irrelevant in teen flicks like these, but this movie proved to be an exception. Molly Ringwald, a teen star from classic 80's romantic comedies such as "Sixteen Candles" and "The Breakfast Club," actually played the role of Mrs. Flynn and had roughly 3 scenes. She also was not one of the stereotypical annoying parents, but was caring and down to earth. Seeing a teen romcom star grownup and now playing a parent in one of these moves really showed how much the industry has changed but also how much it has also managed to stay the same. SO.. if you would like to check out this adorable flick, just log onto your Netflix account and start streaming! I promise you won't be disappointed!